These paintings – done underground and using whatever found light there is, are now an interesting group to think about back in the studio. My plan was always to divide my time between making on site and working in my BSR studio, which has great even light. 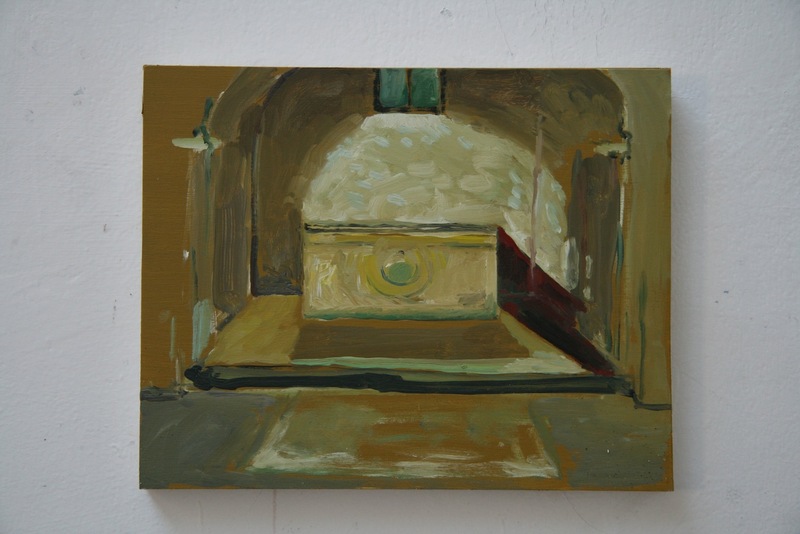 Somehow the subject of each of the paintings shifts around, this one it is the shadow, in others a particular bit of stone or hole, but in each the light or lack of it, is significant.